Since 2007, Therenva’s technology has helped physicians perform tens of thousands of cardiovascular procedures worldwide, and counting. Try the brand-new TAVI planning module! Make your OR ready for new challenges with EndoNaut, a unique image fusion system compatible with any C-arm! 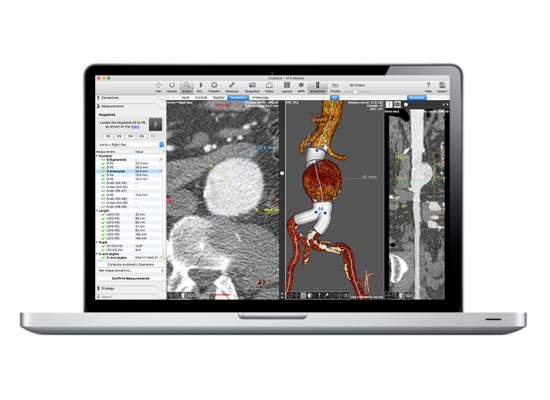 From endovascular case planning to intra-operative navigation, we design the most advanced and user-friendly imaging software toolset for cardiovascular procedures. 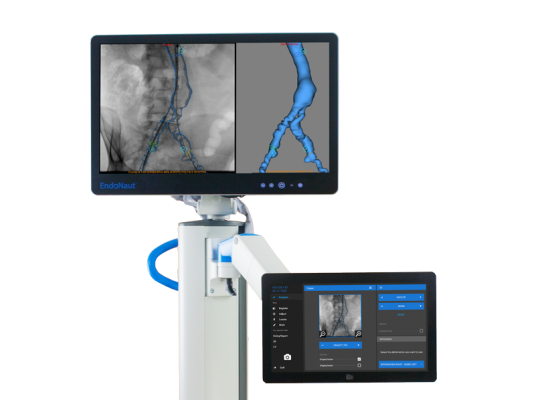 Based on cutting-edge image processing algorithms, deep learning and biomechanical simulation, EndoSize® and EndoNaut® help physicians and healthcare professionals securely and efficiently plan and execute minimally invasive endovascular interventions. Get to know EndoSize and EndoNaut. Since 2007, the Therenva team has been helping physicians perform high quality cardiovascular procedures through innovative, well-designed, efficient, and affordable imaging solutions. The unique EndoSize 3D case planning software has become a must-have in the daily practice of a lot of physicians and healthcare professionals. 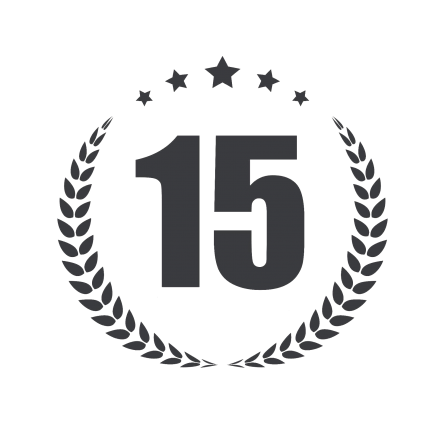 By widening the skills of the users and their abilities to plan cases quickly and accurately, EndoSize saves time and improves patient care. Today, we offer a breakthrough innovation with the exclusive EndoNaut endovascular navigation solution. EndoNaut - compatible with any C-arm in any operating room, makes fusion and guidance technology available to the entire community of vascular surgeons and interventionalists. And the best is yet to come. Want to see EndoNaut in clinical action? Proud to have trained the vascular surgery team of the Inkermann Polyclinic of Niort! Thank you to all of them for their trust! EndoNaut is now @ArcispedaleSantaMariaNuova à Reggio Emilia, in Italy, thanks to @ZiehmImaging collaboration. GE and Siemens will host EndoNaut at their booth @CACVS! Come and watch challenging Cryolife/Jotec live cases using EndoNaut @CEVH! Contact us and get the opportunity to try EndoNaut! Interactive learning including Live cases with EndoNaut from Hospital Sao Joao @PortoLive! We will exhibit @CX to connect with you! Let’s talk about innovative Fusion @VAM19! We will exhibit @SCVE to connect with you! We are thrilled to see the medical community of surgeons and interventionists loving our products and we are proud to partner with the most innovative device companies and the most advanced clinical centers in endovascular therapy worldwide. Website meant for healthcare professionals. Updated on 23/04/2019.